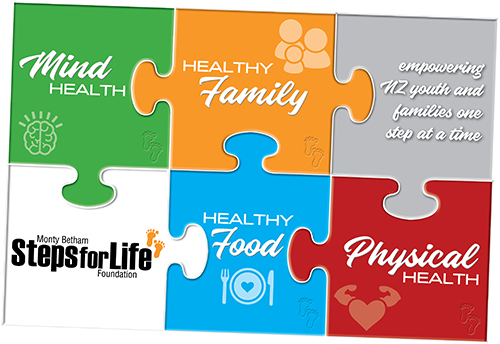 Steps for Life was developed in 2010 to take a proactive approach to reducing the rate of obesity among our youth but having seen first hand and listening to our youth the magnitude of this epidemic encompasses so many other issues they face - anxiety, depression, lack of self worth, drugs and alcohol to name a few. Steps for Life has now evolved and takes a holistic approach to the general health and well being of young New Zealanders through a 10 week programme. It provides the knowledge and tools required for our youth to live happier, healthier lives focusing on physical health, nutrition, mind health and family. This programme has seen some remarkable results.